Have you had one or more miscarriages that your doctor is unable to attribute to a detectable cause? 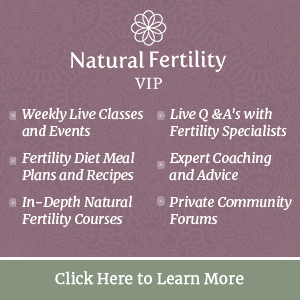 Have you been diagnosed with unexplained infertility and experienced one or more miscarriages? If you answered yes to either of these questions, it may be worth talking to your doctor about testing for factor V Leiden. This gene mutation causes the blood-clotting protein factor V to slowly respond to anti-clotting proteins which work to deactivate the factor V protein. The slow anti-clotting response caused by factor V Leiden can result in thrombophilia. In the context of thrombophilia in pregnancy, the increased risk of forming blood clots may not only occur in the veins, but in the smallest arteries and blood vessels – the very lifelines for a developing fetus. The factor V Leiden genetic mutation can occur in men and women, but is most often found in women of European descent and/or a family history of the gene mutation. Factor V Leiden is most commonly discovered during pregnancy due to routine testing, or after health complications arising from oral contraception medications (birth control) containing synthetic estrogen. While factor V Leiden is most frequently tested for in cases of deep vein thrombosis (DVT), one study in the Australian and New Zealand Journal of Obstetrics and Gynaecology reports that “More recently it has been found in a significant number of cases of obstetric complications attributable to placental thrombosis…” and that out of 128 factor V Leiden genetic mutation carriers, the number of women experiencing miscarriages, intrauterine fetal deaths, or problems with infertility was statistically significant. If you have unexplained infertility or recurrent miscarriages and have not been tested for factor V Leiden, schedule an appointment with your doctor for this test as soon as possible, prior to trying to conceive. “Couples are strongly encouraged by me to have testing before attempting to conceive and certainly during early pregnancy if not tested previously. Testing for acquired and inherited thrombophilia when planning for a family will soon be standard practice.” – Alan E. Beer, M.D. Women with factor V Leiden should share any intention of getting pregnant with their healthcare provider. Women with factor V Leiden thrombophilia can and do have normal, healthy term pregnancies. Carrying the genetic mutation doesn’t automatically mean there will be pregnancy complications, it’s simply something to make sure your healthcare provider is aware of prior to pregnancy for proper monitoring throughout pregnancy. Anticoagulant medication, the most commonly used in pregnancy are Heparin and low molecular weight heparin. Talk to your doctor about any risks for use of these medications in pregnancy. ➞ Fertility Awareness Method is a great alternative to pregnancy prevention. ➞ There are a variety of natural therapies to help a woman to avoid the use of oral contraceptives for management of reproductive health issues. Naturally present in the body are a variety of enzymes. Enzymes are catalysts for chemical reactions necessary to the innumerable actions that maintain the function of the body. A subclass of enzymes known as Systemic Enzymes work to help support the body when there are genetic, immune system or inflammatory health issues present. Supplementing with Systemic Enzymes may help assist the body in promoting proper immune system response and gene signaling. We specifically like working with the systemic enzyme blend Fertilica Choice EnzymesTM. Systemic Enzyme Therapy using Fertilica Choice EnzymesTM, in part works to help the body manage chronic inflammation and, according to Natural Fertility Company Founder, Hethir Rodriguez, “reduces the substances in the blood that trigger a hyper-autoimmune response, and improve blood flow by increasing the flexibility of red blood cells, inhibiting the aggregation of platelets, and helping to prevent abnormal blood clotting.” All of these actions have been found to be supportive of the body in managing many fertility health issues, including recurrent miscarriage, autoimmune related infertility, and inflammatory fertility health conditions. In summary, if you have experienced recurrent miscarriages or later-term pregnancy loss, talk to your healthcare provider about the potential for factor V Leiden being a culprit. It is important to do so prior to trying for another baby. Work closely with your healthcare provider to determine the best course of action for your individual needs if the factor V Leiden gene mutation is discovered. Diet, exercise, and lifestyle changes are known to positively impact circulation, vein, and reproductive system health, which are also important for a healthy pregnancy. Beer, Alan E., M.D. (2006). Is Your Body Baby Friendly? “Unexplained”, Infertility, Miscarriage and IVF Failure Explained. AJR Publishing. Could the father having Factor V Leiden contribute to miscarriages? The Factor V Leiden genetic mutation can be passed to a fetus from its father, which can contribute to pregnancy complications for both the mother and fetus.